-Gates Timing belt kit with tension and idler pulleys. -OEM Mitsubishi top end gaskets replaced. -JDM OEM Mitsubishi PAJERO rear plate emblem. -LEDvillage "Black Beast" 921/915/T15 bulbs for 3rd brake light. 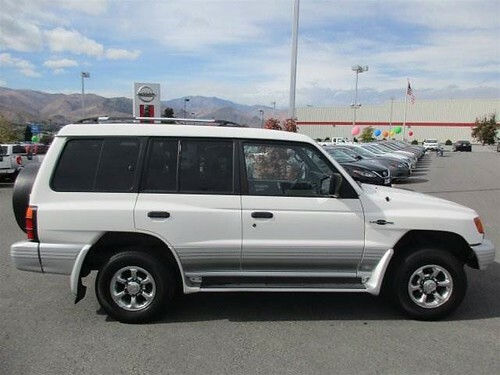 As some of you know I used to own a 2000 Montero Sport XLS 4WD that I recently sold in March. I loved it..but it was a bit small and wasn't going to fit my needs in the near future on what I wanted to do with my family and future business endeavor. 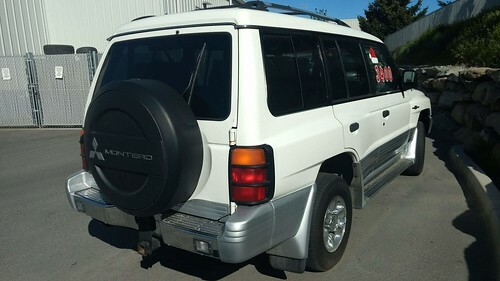 I was actually in the search for a Gen 2 or 2.5 prior to purchasing my Montero Sport but couldn't find a decent one and needed a vehicle so I decided on the Montero Sport. Here is a little backround about me...if you find this boring, then feel free to scroll on down to the pictures and eye candy content. I have owned about a dozen Mitsubishis and from my username I have a soft spot for Galants. My 1st car was a 1981 Oldsmobile Cutlass Surpreme 442 which was a awesome car as a 1st car. My dad passed it down to me and even got it freshly repainted for me when he handed me the keys to it. My dad taught me car repair stuff with that car, lots of family memories with that car and not to mention I was the "cool guy" with the cool car. I had to part ways with it because my mom wanted me to have a newer car..something with a/c and more reliable to get me back and forth from college, so we went to CarMax and I originally wanted a 240sx because of the shape and style of it but my dad insisted getting me a sedan instead of a coupe...I couldn't complain, they were buying the car for me. 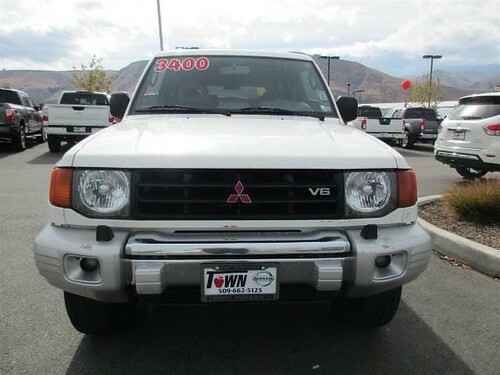 Then I saw this 1995 White Mitsubishi Galant...I liked it, kinda looked like a 240sx but with 4 doors and after visiting the Philippines and being 1st exposed the Mitsubishis over there I developed a liking of their vehicles since my uncle owned several...Pajero, Delica and a Lancer Evo 2. 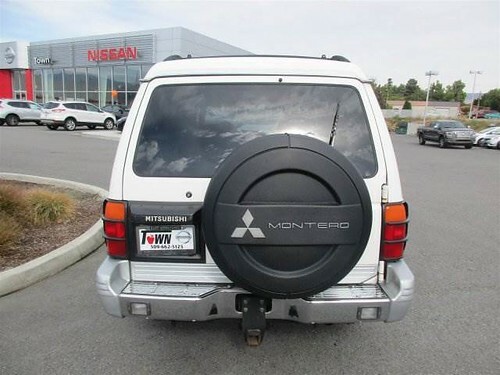 Ok now...lets fast forward and focus on why I finally got a Montero. 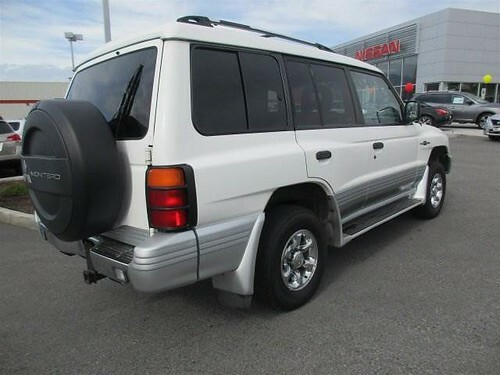 Like previously state above..I sold my Montero Sport, don't get me wrong...I really liked it but I felt it was a little too small and wasn't really the Montero I wanted. I have liked the Montero/Pajero for awhile..since 1999 in fact when I went to the Philippines and rode in my uncles LWB Pajero turbo diesel majority of the time I was there for a month. I was wowed by its ability to tackle the 3rd world like quality roads in the Philippines with no effort and how it just navigated and maneuvered through mountain passes in not so ideal conditions. I would say the seed was planted back then..and stayed dormant for many years as I was young and owning a SUV wasn't nowhere in my scope yet. 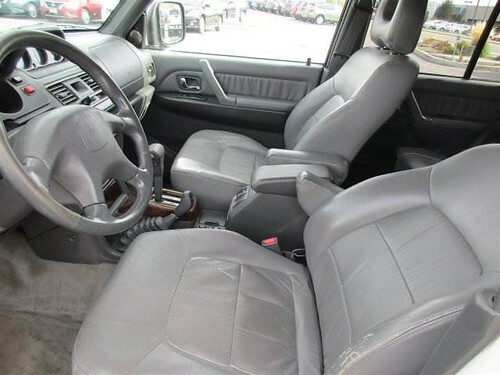 Not till me and my wife decided to get a SUV as we were planning to have a family mainly because of the practicality of one and my wife NOT wanting to drive a minivan we finally bought our 1st SUV a 2004 Endeavor. After a bad accident and that got totaled..we got her into a 2002 Montero Limited and that is when that seed started to grow. 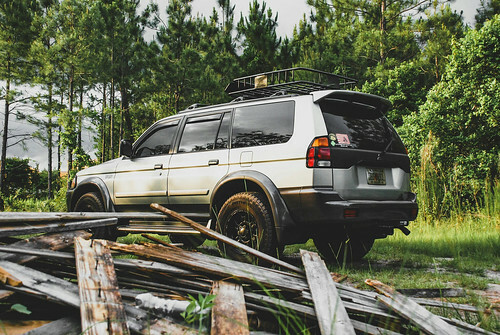 After driving it for awhile and spotting a 98-00 Montero randomly I fell in love with those blister fenders and then brought back memories of my uncles mid 90's Gen 2 from the Philippines and my urge to own one started to grow even more. The end of 2016..it didn't help joining FB groups, and seeing photos on Instagram...I decided to finally pursue and own a Gen 2.5 of my own. I wanted a winter package one with minimal to no rust, in good condition and really wanted to find one white. 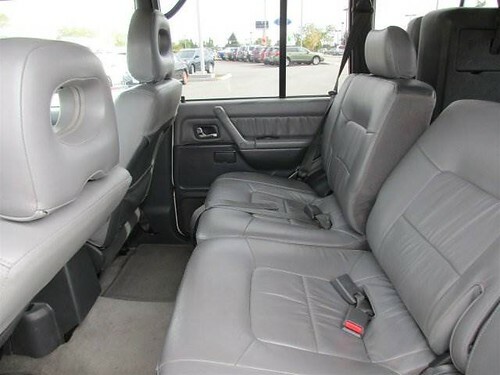 I happened to find one at a Nissan dealer in Washington state with 200k miles 1 owner, no accidents, with a long carfax history of maintenance mostly done by the the Nissan dealer I bought it from. 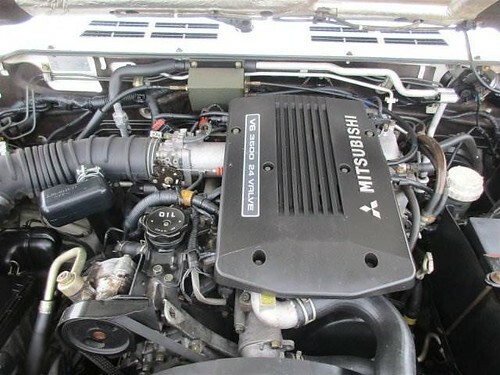 I had a buddy look at it in person and test drive it and other than the common oil leak from the valve gaskets..its a perfect running Montero. Finally finalized the sale this week and the auto transport is scheduled to pick it up Monday this coming week. I was able to negotiate a cash deal...basically "I can wire the money now at this price", so I got it $2k out the door. 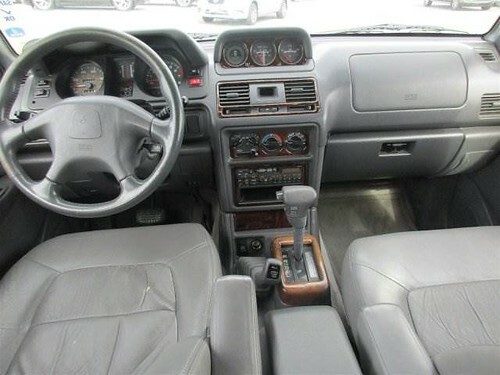 I was able to take a few screens shots before the dealer took it down from their website after the sale was finalized. 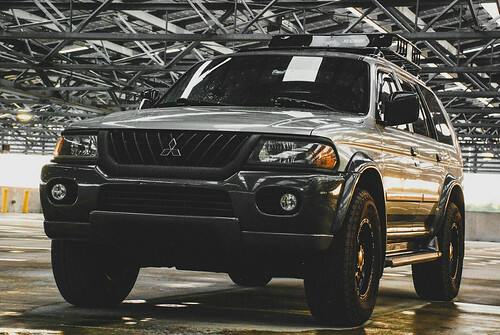 Awesome looking Montero, glad you found such a clean one! 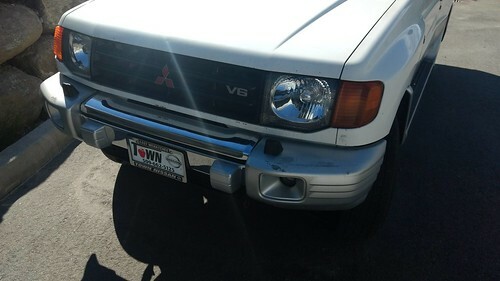 I've seen your username around the DSM forums for a long time, awesome to see another DSM'er get into the Mitsu SUV's as well! 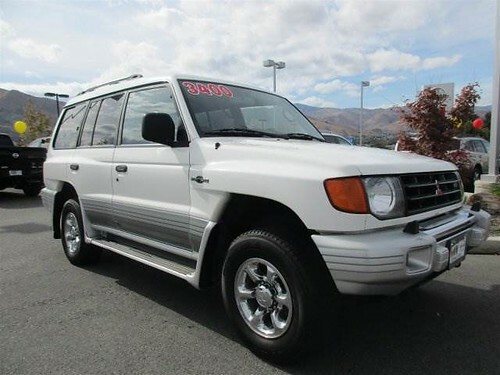 I have two 1G AWD DSMs sitting around along with my Montero now, but I'd love to find a GVR-4 to swap my setup into. I appreciate when someone goes the "extra mile", quite literally in this case, to find exactly what they want. Your Sport was a beauty so I can't wait to see what you do with this one. Pretty awesome when you go back two years to upgrade. A lot of folks don't get that. But we do. Finding a Gen 2.5 in good condition in general is hard...finding one with my list of ideal requirements was even harder. I was starting think I was too picky given the fact they are hard to find already and their age, but I guess persistence paid off. 1st thing before I do anything is a full front engine service and all the upper gaskets and O-rings to be changed. Transmission drain and fill and replace all the drivetrain fluids. 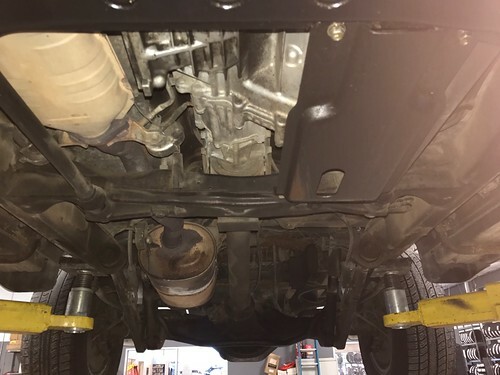 WHen I get the truck in person I will inspect the suspension for what I may need to replace. I do have a Galant VR4 #1948/2000..here is a most recent pic of it. 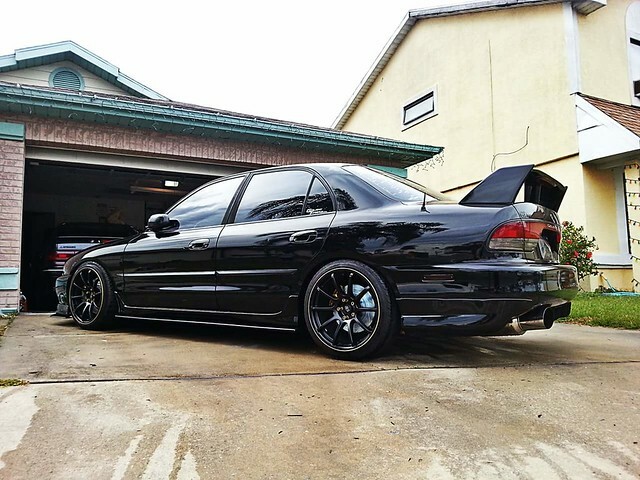 I also have a 1996 Galant with some JDM VR4 exterior parts and is going through a DOHC 4G64 swap. Also the other chariot in our fleet is my wifes 2002 Gen 3...180k and still running strong, but really looking to get something newer for her maybe next year. Congrats on the new rig man! All your stuff is so clean! 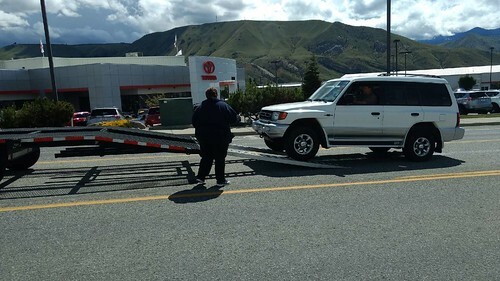 There was a delay on getting my Montero picked up...I guess if its not near or in a fairly populated city, it may take some time. 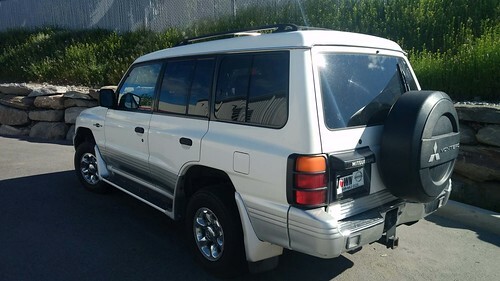 The dealer that I bought my Montero is 3 hours away from Tacoma, WA and Spokane, WA. I finally got a confirmation on Friday evening that the transporter was going to pick up my Montero on Saturday 5/13/17. The salesman I was dealing with sent me pics when they were loading up it up. I will post pics soon. Thank you...but I would like to take more pics with the rig actually dirty. Here are a couple pics the sales man took before it was picked up ...tucked behind the service building safely. Saturday 5/14/2017 the auto transport finally picked up my Montero. Twin rigs of different owners. Looking forward to seeing your progress with this. The Montero arrived on Thursday 5/18 around 5:30pm but I only had time check it in. My dad went to the ER earlier that day and right after the auto transport called me on their ETA on their arrival. I had the truck dropped off at my best friends shop which is about 30 mins away from where I live. This past Saturday I finally got a chance to look over the Montero. Part of me being able to negotiate the price was because of "ticking noise" from the engine and a transmission ATF leak. They didn't want to put more labor time into fixing those issues so that helped me get the price I wanted. -Lifter Tick : Since the Montero sat soo long in the lot when they started it it had lifter tick. When I got it after a few cycles of it running it disappeared. 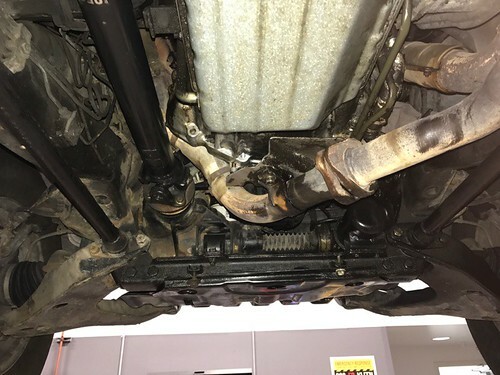 -ATF leak : We are going to pull the transmission this weekend to diagnose, we are needed to pull it anyways because we are doing a rear main seal. 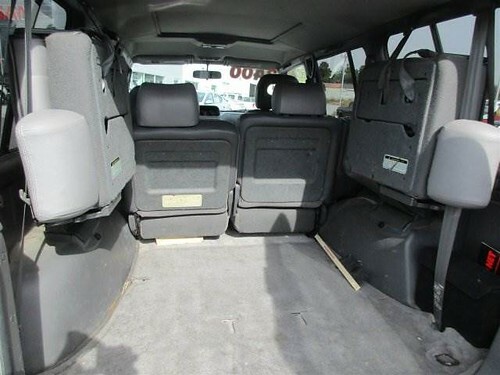 In general the interior and exterior are in excellent condition. Paint still has clearcoat and no dings or dents on the exterior. The front has normal chips here and there from most likely rocks from the roads but that's a easy fix. Finally the keys are in hand and even has the OEM (I guess dealer installed from what I read) keyless entry. 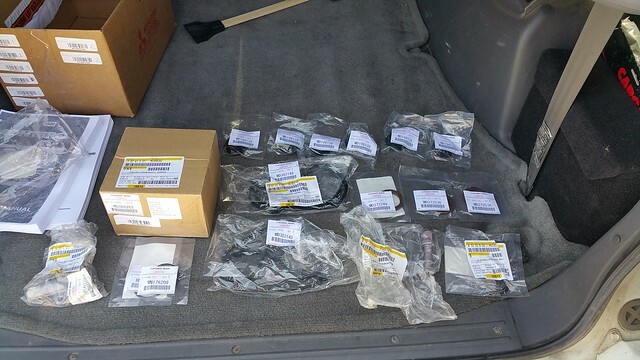 1st round of maintenance parts arrived. ALL seals are OEM, tensioner and even new harmonic balancer. 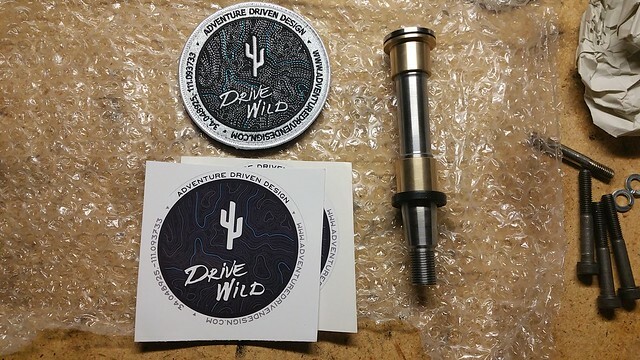 ADD Kingpin arrived along with awsome ADD goodies...Thanks a bunch guys!!!! I love seeing those kingpins! never gets old.